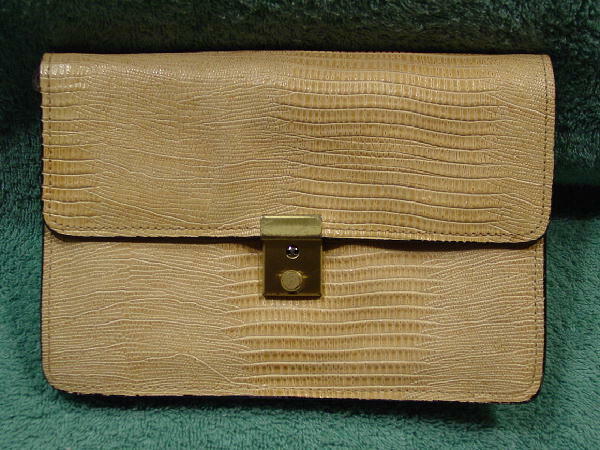 This vintage leather cream-yellow Vivace clutch has an embossed lizard pattern. 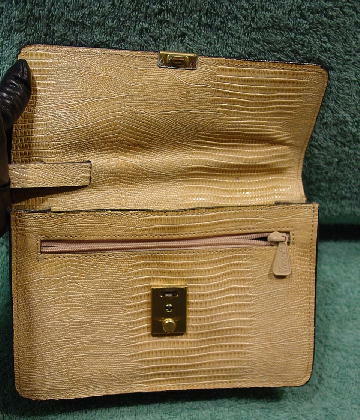 It also has a pullout 7 3/4" by 5/8" wrist strap from the inside front flap. There is a very nice black fabric lining. 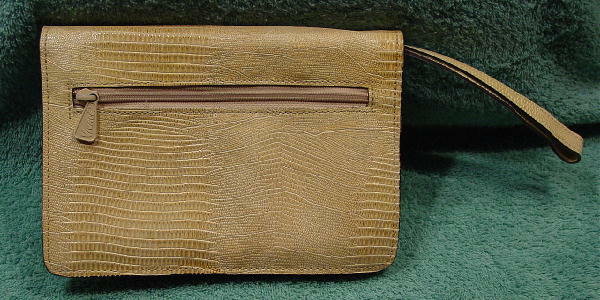 The front under the flap has a 7" front side to side zippered section and a 7" rear side to side zippered section. It's in an envelope styling and it has a brushed antique metal closure. There is a tiny ink mark on the inside of the front flap. We don't have a key for the front closure, so it's permanently unlocked. The edges are all in black. The sides each have a loop, so you could attach a chain strap - it does not come with one. We think the purse looks better as a clutch. It has a great lizard-textured surface and color.